I was consulted recently about an elderly woman who refused surgery for a large bowel obstruction from a colonic mass (likely cancer). The inpatient team asked me to help with the transition to hospice and to help make her comfortable. I went to see her. She had a nasogastric tube sucking up brown material from her stomach. Her abdomen was swollen and uncomfortable. Her primary goal was to return to walking about with her walker, and she had grossly overestimated the risks of surgery. I recommended surgery. I persuaded her that surgery would meet her goals better than no sugery. After considerable discussion, she agreed. What a shock to the primary team! They called a palliative care consult to assist with the transition to hospice, and here I'd gone and persuaded the patient to have surgery. In her lecture at AAHPM/HPNA this year, Diane Meier said, "palliative care is about matching treatment to patient goals." She said it over and over and over. And she's right. Here's a video of her saying it (thanks to the Hartford Foundation's Health AGEnda blog for the video). Notice at the end, when someone pointedly asks her: if the intensive care unit gave someone their best chance of meeting their goals, would palliative care recommend intensive care? Yes. Palliative care is about matching treatment to patient goals. I would estimate that 90% of the time, after engaging in discussion with patients and their family, the treatment shifts to a more comfort oriented and less life-sustaining approach. But maybe 10% of time, as in the case above, the opposite occurs. And that is OK. If 100% of the time the treatment matched to their goals was exclusively comfort-oriented, then we’re probably doing something wrong. We consult to clarify what treatment best matches patient goals, not to convince patients to abandon life-prolonging care in favor of hospice/DNR/etc. The former makes us useful and accessible; the later makes us the death squad. Patients, family members, and colleagues ask what palliative care is all the time. I used to give a complicated 3 point answer. Now I start by saying, "palliative care is about matching treatment to patient goals." This is a very straightforward and powerful message. Notice how it differs from other possible messages: "we focus on keeping people comfortable," "we provide an alternative to aggressive life-prolonging care," or "have you heard of hospice?" How do you explain palliative care to your patients and colleagues? To your hospital administration? Does your message differ according to your audience, and should it? As a community, we should try and agree on a message. Before others do it for us. I agree that good practice is matching treatment to patient goals, but that doesn't make such care, palliative care. Matching treatment to patient goals in the setting of a positive surprise question, maybe. Palliative care isn't trying to take over the world, is it? A knee replacement should be matching treatment to patient goals. To be credible, we need to be able to make the distinction between palliative care and chronic disease management, orthopedics, etc. Where there is overlap, let's talk about collaborative interfaces, but we don't own matching treatment to patient goals. All good physicians (meaning those who put patients' interests first) match treatment to patient goals. But they also match treatment to medical indications, and struggle to balance the two. Certainly (possibly in this case, although we're not told about the history, comorbidities, weight, functional status and other prognostic factors) surgery may be indicated; we've all faced this and occasionally decided in favor of aggressive treatment. But more often, the palliative care team's mission is to help the patient's (and more often, the enthusiastic but uninformed family's) goals evolve from unrealistic hopes of cure to down-to-earth (and overtly spiritual) goals of comfort and peace. This may amount to highest quality care, and by the way, is often (but not always) associated with reduced health care costs. Bear in mind what's coming: rapidly increasing debt-financed government support for all-you-want health care, with Moody's contemplating a downgrade of US bond ratings. Sooner than we would like, responsible physicians will still be thinking hard about what patients want, but even harder about what they really need. This is the dilemma Don Berwick will be wrestling with, assuming he's confirmed. Why Not Aggressive Palliative Care?" This should go hand in hand with Palliative Care as a partner at the beginning of any life-limiting diagnosis. Yes, it's all about the patient's goals. Yes, that may be taken away from us in the U.S. with money restrictions...so we need to help people realistically look at what those goals are. Palliative Care practitioners are in the best place to educate and to help laypersons with these "difficult conversations". I would much rather see us deal with limited $$ through educated patients & families in collaboration with educated healthcare practitioners versus having beurocrats make these decisions! We've been complaining about insurance companies making too many of these decisions, but are we trading this for politicians now making them? Really interesting case. I think this illustrates a very big issue in Geriatrics: The elderly are both seriously overtreated (often get care that is more likely to harm than help) and seriously undertreated (not given care much more likely to help than harm). Geriatricians often find themselves in the role of helping patients avoid some types of care, at the same time they encourage other types of care. On this blog, we have mostly discussed overtreatment, but it is important to think about both sides of this equation. In the case of surgery, clinicians often overestimate the risks of surgery in the elderly, especially healthy elderly. Also, I am struck by how many patients just assume they are too old for surgery. I have had several patients in their 80's with debilitating knee osteoarthritis, who were otherwise healthy, just assume they were too old for knee replacement. Surgery certainly had risks for them, but so did immobility from their end stage knee arthritis. We have an obligation to our patients to take the time necessary to help them understand the potential outcomes of conservative and surgical therapies. And it is important to understand that doing this well often takes a lot of time, often over several encounters. This case is yet another illustration of how good communication can totally change the course of care for a patient. Living in Florida, I have a different definition of elderly from many in other states. And the research shows that they can tolerate these treatments. On the question, "How do you explain palliative care to your audience?" For me the struggle I have finding just right words is that I see Palliative care as a movement as much as (OK, really probably more than) an area of specialty. We match treatment with preferences/goals; we work alongside all other treatment modalities. I hope that the PC 'movement' will change the way EVERYONE looks at health care - that HC providers approach all HC consumers as whole people, with respect and thoughtful guidance in all settings, all the time. As my mentor, Dr. Elise Carey, told me years ago, it's a "slow polite revolution". The evidence has been clear for years that physicians order less aggressive treatment for older patients; treatment intensity declines by each decade of additional age. It's hard not to conclude that some kind of age discrimination might be going on, and in cases where age is the only factor under consideration, that's not good. But -- those same physicians are writing some very aggressive orders for patients very near death. 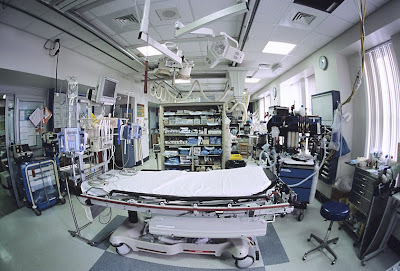 1/8 of all Medicare dollars are spent in the last month of life, 80% of that in the hospital. Quality care? Maybe. Dartmouth Atlas doesn't think so. Patient choice? Um -- not sure that gets assessed much on the gurney to the ICU. Costs? The highest, for very little return other than the feeling that "we did everything we could." For over 30 years it's felt fine to be part of the "slow quiet revolution." Now there may be a little more urgency in the air. Health care reform is about changing attitudes -- including, or maybe especially, ours -- as much as it's about re-engineering the delivery system. Terrific discussion! Some quick replies. Paul McIntyre is right that all clinicians should be skilled in communication. Charles Von Gunten wrote a terrific article in JAMA describing primary, secondary, and teriary palliative care. All cliniicans should have some skill in palliative care, including communication skills around major life altering decisions (that's primary palliative care). But as specialists, and I'm going to refer back to Diane Meier's again talk here, we have "Time + Focus = Clarity, Decision Making, and Follow Through." I would add "Advanced Skills" to the Time + Focus. That's our role in secondary and tertiary palliative care. I think this is what Brad Stuart was saying when he said all good clinicians should be skilled in matching treatment to goals, and Ken Covinksy commented specifically in regard to geriatricians. And thank you Brad for pointing out that Dob Berwick will likely be the next head of CMS. That may warrant it's own post (please author if you have time/interest!). CyndiC, thank you for your comments. Regarding the aggressive palliative care comment, one of the inpatient services I worked on in Boston was called the "Intensive Palliative Care Unit" - and rather than "comfort measures only" tried to used the term "intensive comfort measures." These terms specifically emphasized the hard work that goes into palliative and comfort care, similar to the work in an ICU setting. In response to Patrice Villars, I like the idea of saying palliative care is a movement. Similarly, when I'm explaining hospice, I often start by saying "Hospice is both a philosophy of care and a defined benifit." I love the "slow polite revolution" phrase...does this belong in our explanation of what we do to our patients, families, and colleagues? Or is it for use only amongst ourselves. We have an opportunity to be both "Pro-Choice" &"Pro-Life"! Maybe this is what we should be marketing and, even though they are by far in the minority, start profiling the cases like yours? 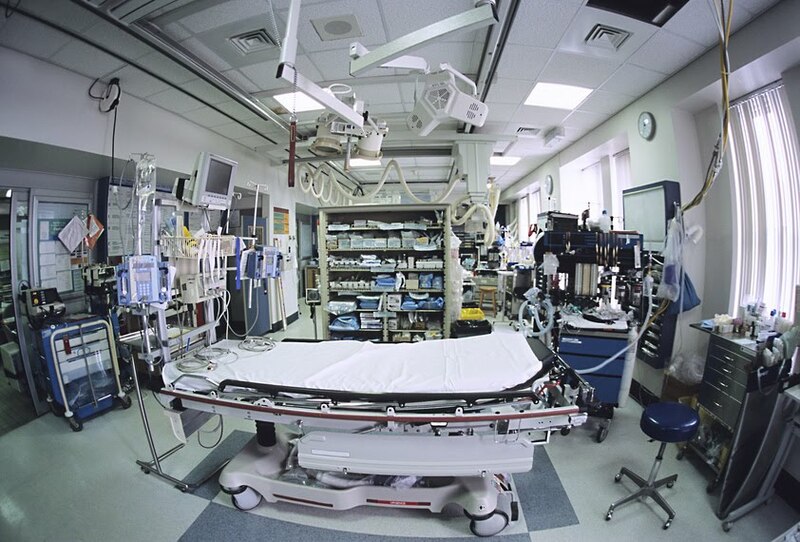 Alex: I LOVE the Intensive Palliative Care Unit and Intentisive Comfort Measures terms...What hospital was this at? I would like to include it in my lexicon of terms, my communication with others, and my communication education! Hi CyndiC. The terms Intensive Palliative Care Unit (IPCU) and Intensive Comfort Measures (ICM) are from the Brigham and Women's Hospital, in Boston. "matching treatment to patient goals" I think is a bit too vague for alot of people, not to sound elitist, but especially for people of limited education or sophistication. That phrase guarantees at least three more sentences of explanation, probably more of the same that we are all used to. Also, I would use that phrase only if it had added to it "... in a realistic way." or something to that effect. I wouldn't feel obliged to provide high intensity ICU care for all eternity to a 100-y.o patient with metastatic cancer and in septic shock if they or the family demanded it. Thanks, I like this post it is very good and informative. I am sure that this post will be very helpful for the future.Good luck for future.